The Intersil ICL7136 is a high performance, low power 31/2 digit, A/D converter. Included are seven segment decoders, display drivers, a reference, and a clock. 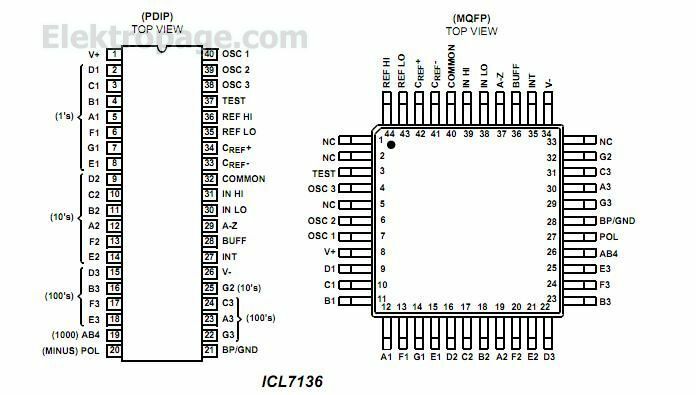 The ICL7136 is designed to interface with a liquid crystal display (LCD) and includes a multiplexed backplane drive. The ICL7136 brings together a combination of high accuracy, versatility, and true economy. 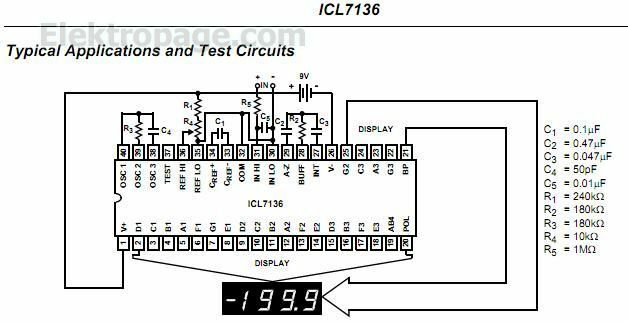 It features auto-zero to less than 10µV, zero drift of less than 1µV/ oC, input bias current of 10pA (Max), and rollover error of less than one count. True differential inputs and reference are useful in all systems, but give the designer an uncommon advantage when measuring load cells, strain gauges and other bridge type transducers. Finally, the true economy of single power supply operation, enables a high performance panel meter to be built with the addition of only 10 passive components and a display. The ICL7136 is an improved version of the ICL7126, eliminating the overrange hangover and hysteresis effects, and should be used in its place in all applications. It can also be used as a plug-in replacement for the ICL7106 in a wide variety of applications, changing only the passive components.